Farro is my new favorite whole grain, which I call the Powerhouse grain. 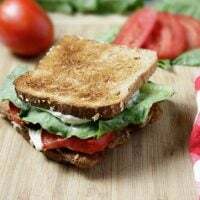 It contains close to 25% of your daily recommended iron intake and includes a plethora of essential nutrients to keep you running at your optimal. 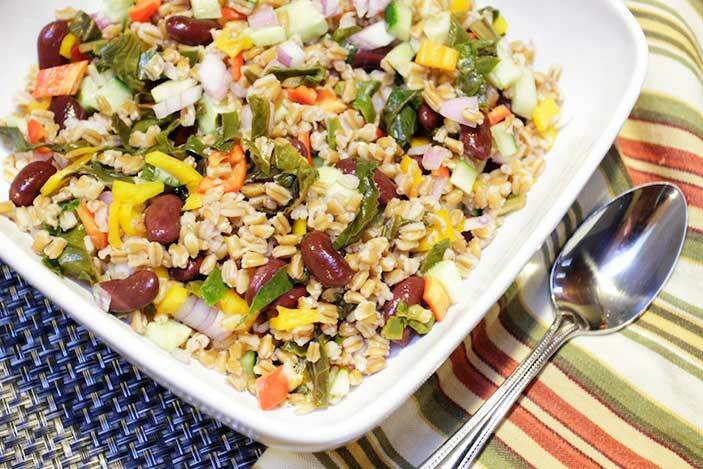 I love the chewiness and its versatility for using this grain in cold or hot dishes like this Farro Salad recipe. It cooks up just like rice and you can add various flavors to enhance its basic taste. In Italy, Farro is used in many dishes like soups, bread, and pasta. You can also make dishes using this grain in your Breakfast Porridge and Dessert. While it is not the most common grain, you can find it at most health food stores these days, as it does provide a higher nutritional punch than its cousin (rice). Buying semi-peeled farro would make cooking simpler, taking a shorter time to cook, but does mean some of its nutritional value is a bit less than the whole grain. There are some amazing health benefits to eating farro, some of which include it to be high in complex carbs which regulates your blood sugar and reduce cholesterol. 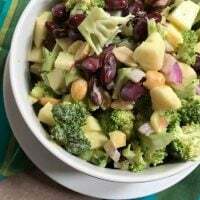 One cup offers 200 calories (I use about a half cup per serving when mixing with veggies), a low 2 grams of fat, and close to 8 grams of cholesterol-reducing fiber, which is 4 times the amount found in brown rice! It also contains zinc and other minerals which offer better heart health and overall protective immunity boost. Another wonderful benefit for women is that this grain is high in magnesium content, which is wonderful for menstrual cramps and boosting your mood. 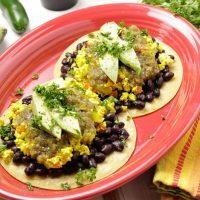 I like the addition of beans in this recipe help you get your daily hearty dose of fiber, protein, immune boosting antioxidant and mineral content in your diet. 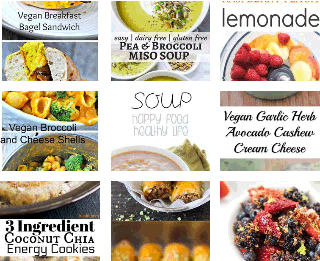 Feel free to mix up the additions, as other chopped veggies can work quite well, too. 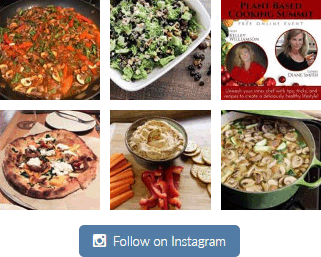 Some ideas might include sun-dried tomatoes, radishes, arugula, orange sections, mushrooms, kale, peppers or tomatoes…adding nuts like walnuts, and fresh herbs like mint. I love the versatility of this dynamic grain. I could eat one of these salads each week! Making lighter versions for summer using a lemon vinaigrette, to a hearty warm version for autumn and winter using sweet potato, mushrooms, and leafy greens. What variations would you use? 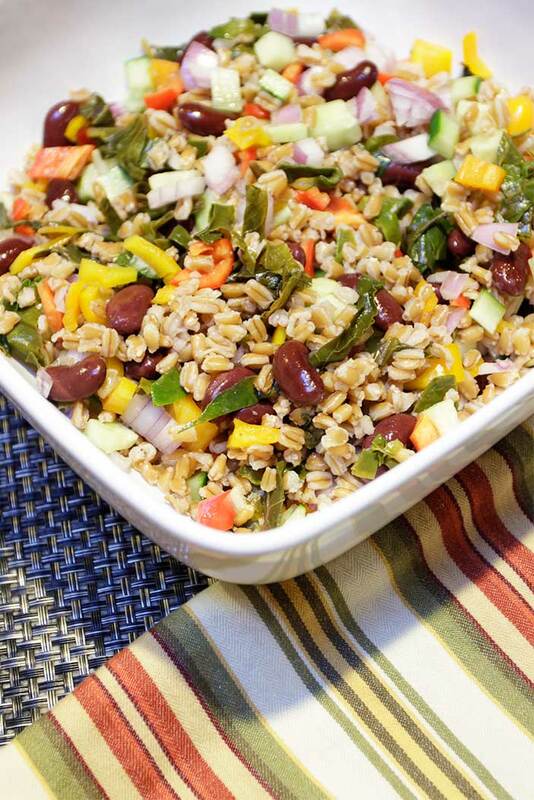 I’d love to hear your feedback in the comments below for this Farro Salad recipe! 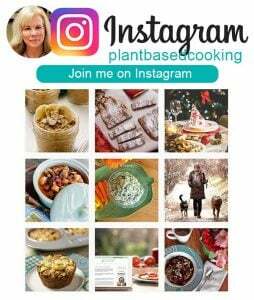 If you have a photo, post it on Instagram, tag me using the hashtag #plantbasedcooking in your caption, and I won’t miss it! Italian Farro Salad with lots of fresh veggies and fresh tomatoes and a bright red wine vinaigrette and a touch of curry..
Cook farro according to directions or *try this version recommended by Chef Ryan Hardy at the restaurant Charlie Bird in SoHo. In a medium saucepan, bring farro, 1 cup apple cider, salt, 2 bay leaves and 2 cups water to a simmer. Simmer until farro is tender and liquid evaporates, about 30 minutes. 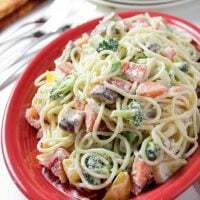 In a salad bowl, whisk together the red wine vinegar, lemon juice, curry powder and salt and pepper to taste. Add the farro, red onion, swiss chard, peppers, cucumbers, kidneys beans and almonds.